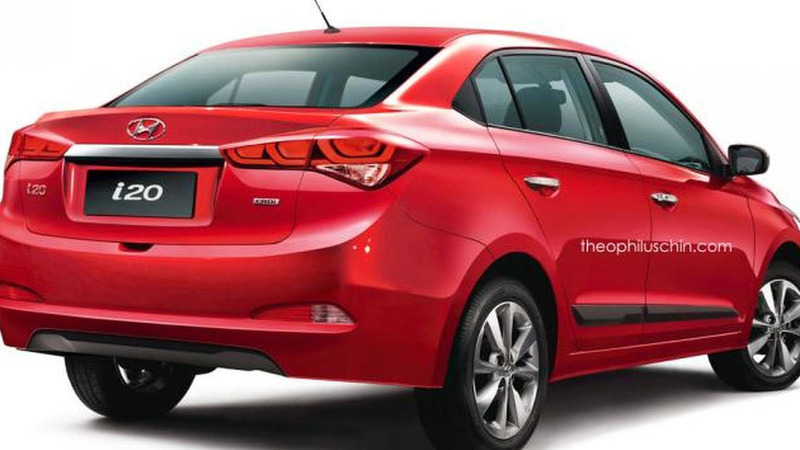 Malaysian “automotive manipulator” Theophilus Chin has digitally envisioned a sedan version of the new Hyundai i20. Taking in mind that B-segment sedans are quite popular in East Asia and South America, such a car definitely sounds like a good idea. There is still no word about it, but according to Chin it could be launched as a replacement for the Hyundai Accent/Solaris. The virtual project is based on the official press photos of the i20 and uses its original front end. On the back we find an extended tailgate with a new license plate niche. A week ago the new generation i20 was presented online prior to Paris Motor Show debut. The car is 4035mm long and comes with a wheelbase that has been stretched by 45mm to 2570mm. When the rear seats are used, the i20 offers a spacious 320-liter trunk, so a sedan version could offer around 400 liters of cargo space.